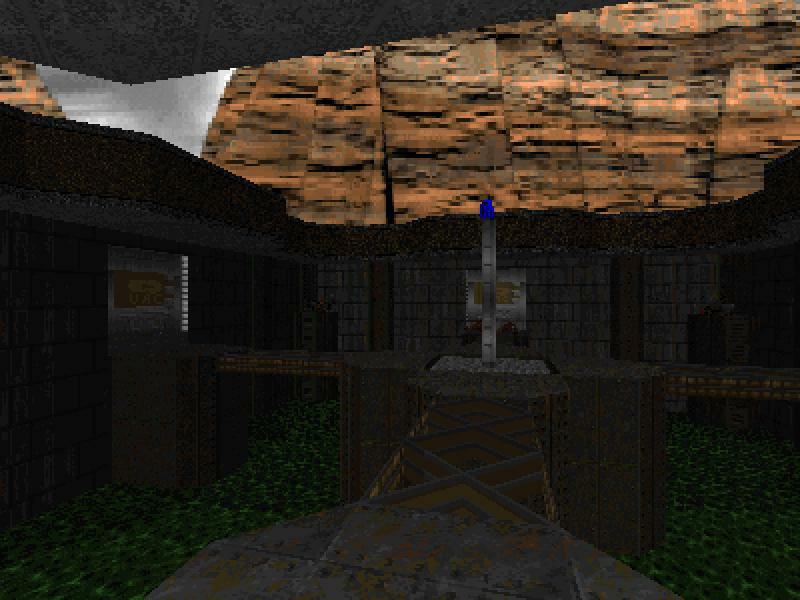 Enjay is one of the most experienced mappers in the community - he made one of the first ever Doom2 megawads (in 1994! ), and while his output hasn't been as prolific as some, he has produced many good maps over the years. His current offering is certainly very interesting, and a highly polished product. It is just one map, but it will probably keep you busy for an hour or so. You are not facing the Doom monsters here - all the enemies are new, not just in appearance, but also in behaviour. This can easily cause some confusion, especially as some of the human enemies look quite similar but represent wholly differing levels of threat, but by the end you'll probably have learnt what's what. The gameplay is ostensibly mission-based, but don't be put off if you don't like the sound of that - basically you just need to find keys and flip four switches. I liked the Robocop-style enemies - a nice touch of humour. In general, I think it would be good to see this set of monsters used again in further wads. Enjay mentions that the general layout was inspired by Espi's map Ruma. It is certainly not a carbon-copy, but the parallels are clear - it definitely reminded me of Ruma (and that was before I had read the textfile very attentively). There are plenty of new graphics and some good ambient sounds. 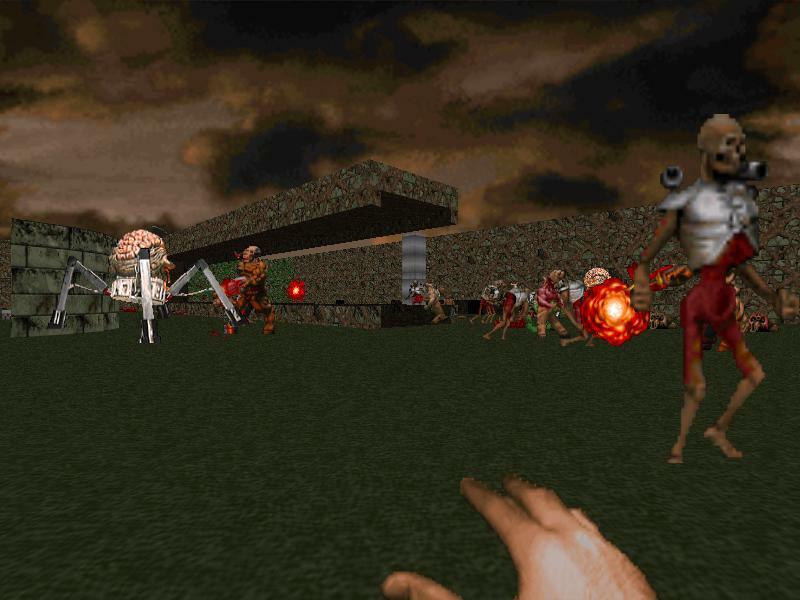 Many Zdoom features are used to good effect. Even the vegetation is not all harmless (think Hexen). There is enough ammo to get the job done without any excessive conservation of rounds, and plenty of dangerous enemies to stop it just being a run-through. I found health was pretty tight. Overall then, this wad gets a very strong recommendation. A few little grumbles though: there is a very dark area towards the end; if you adjust the gamma to compensate, the scenery in that area looks very washed out and unpleasant on the eye. Also, the textfile does not state whether jumping and mlook are required, optional or unwanted. So let me clarify: jumping does not appear to be necessary at all, but mlook (and maybe zooming too) is needed if you want to use the railgun to much effect (although I didn't use mlook myself - I saved the railgun for some big baddies near the end that I could splat at point-blank range). 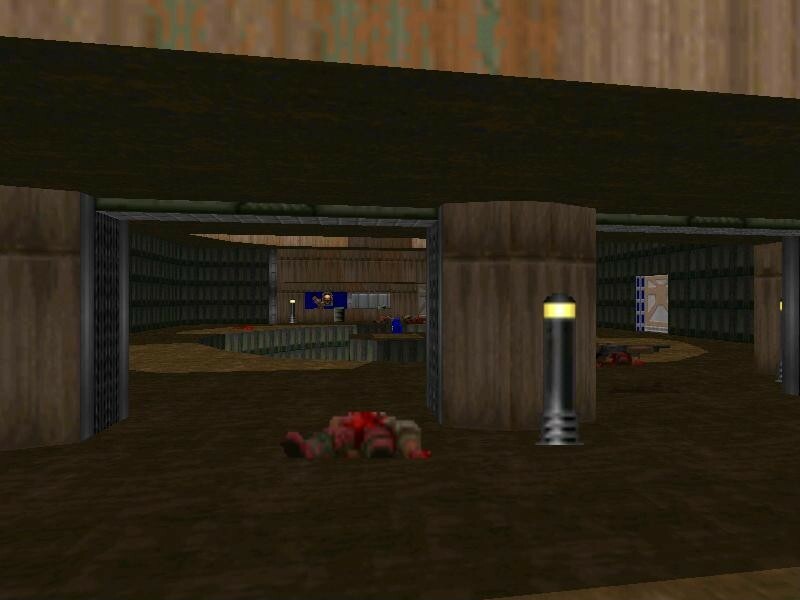 An extremely small deathmatch map for Skulltag. Nothing much to see here. As always, it is staggering how much work some mappers are able to do in 100 minutes, but the gameplay falls a bit flat in all four maps. However, some achieve the theme quite well. Map01 has what I presume to be an X-ray/security area, a departure gate and a decent-looking runway, albeit such a short one that even Origin Pacific pilots might refuse to land there. It also has a wall that you can walk through, and very little gameplay. 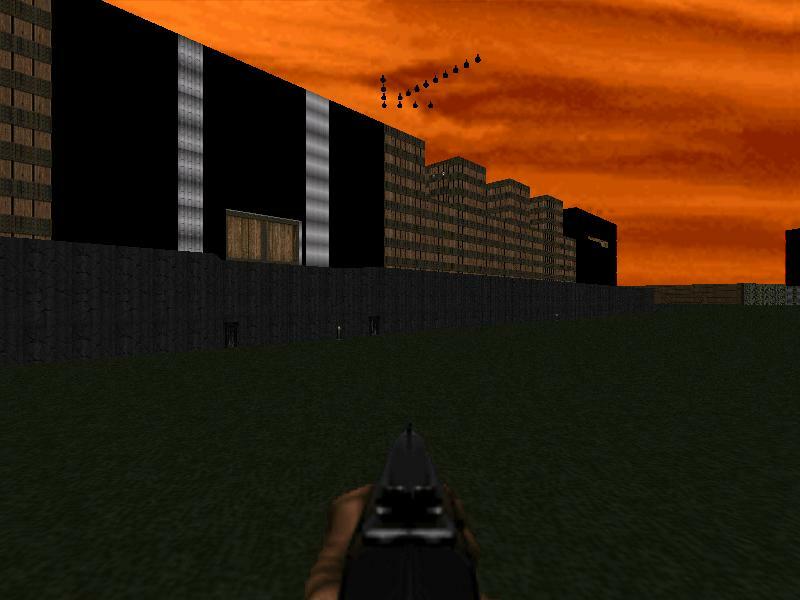 Map02 focuses more on outdoor structures, and has the best challenge of the four maps - if you want to kill everything, that is; if you wish, you can just run straight to the exit switch. The map has a fairly long runway, taxiways, a reasonable-looking control tower, and structures that could conceivably pass for terminal buildings. Maps 3 and 4 are of relatively little interest. Erik must have been very drunk, given what we know he is capable of. 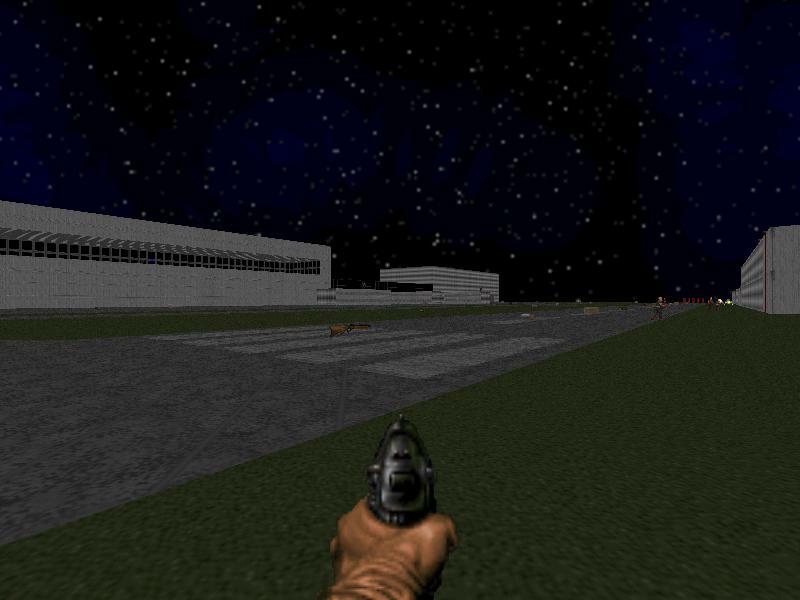 Another interesting Zdoom map, but this one is more like an ordinary Doom map with a few added Zdoom features. The scripted messages are useful, since they help the player to avoid running around like a headless chicken wondering what needs to be done next. The architecture looks good, with 3D bridges and slopes used a great deal. The only thing (arguably) wrong with the wad is that it isn't very challenging - at least, once you've got past the crate room, you should have plenty of health and ammo. That's not to say it is overly easy though - you're given just about the right amount of resources to get the job done, and as long as you make competent use of them, then you should get through without too much trouble. You won't ever be left wondering "How the hell am I supposed to survive this? I found the music a bit off-putting, and ended up turning it off. This isn't at all because I dislike NIN (nin.wad is a music replacement wad that I must have used more often than any other), but because some of the drum beats in the music were just too loud relative to the other notes. Maybe that's just an issue with my soundcard though. The secrets are pretty well hidden, but they are not essential for completing the map, and ReX has included an additional textfile explaining how to find them. Once more, the textfile doesn't say whether jumping and mlook are needed. I reached the end without either, so I guess that's a "no". Another wad this week with a name starting with the word "Fear"! However, this one is totally different - it is a large map in Episode 1 style. It is very nicely done - the gameplay flows quite well despite the map's size, and the feel is very much in keeping with the original. So is the difficulty level - which is my only real grumble. Surely it is possible to make E1-style maps with a difficulty level that is more in keeping with modern standards? E1 fans surely won't be bothered by that though, and will revel in the half-hour of old-style carnage that this map offers. 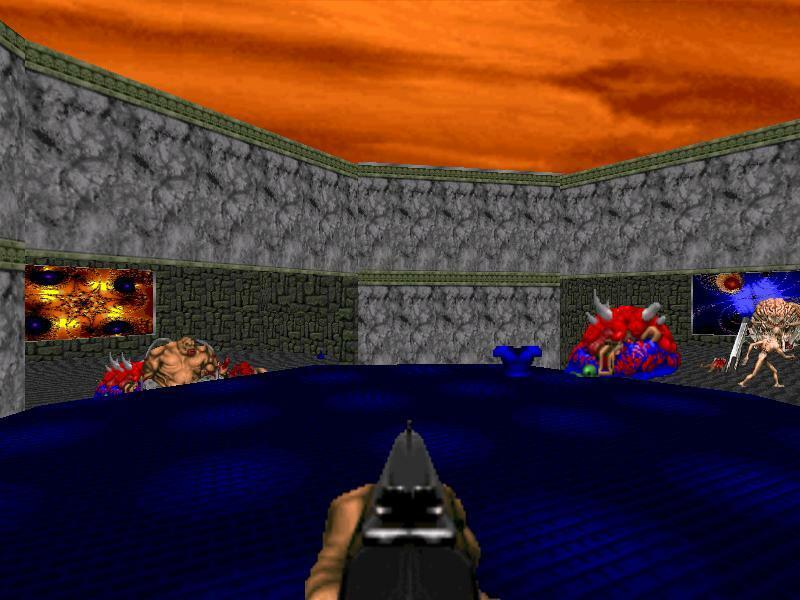 To be fair, it would be pretty hard for anyone who likes Doom not to enjoy playing this map. 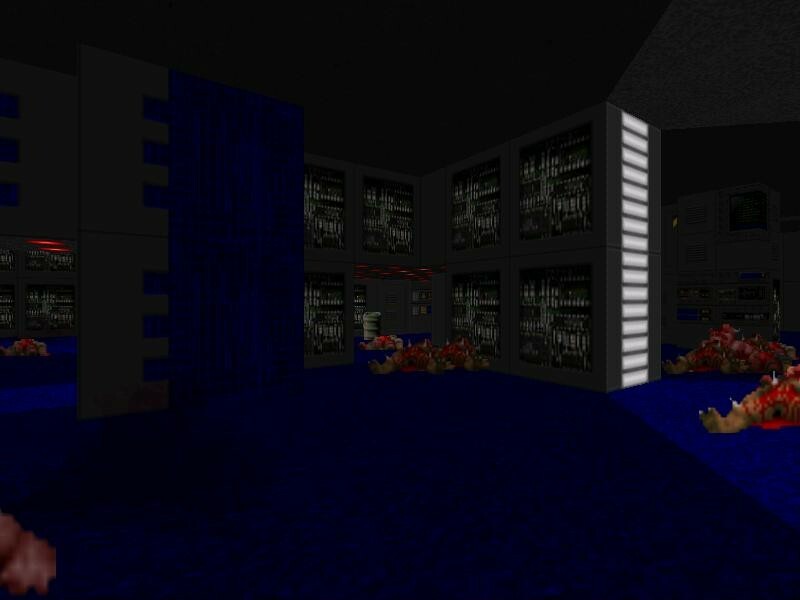 I can't really say which E1 map Fear Complex most closely resembles - it essentially follows the style without really duplicating any recognizable areas. This sets the map apart from Hip Deep (map20 of Cleimos 2), which was a large E1-style map, but with areas modelled on each of the E1 maps. Note: the author states that the wad should work with Doom.exe, but that he has not tested it - so beware. The map runs on E1M3. Wad of the week runner-up. More E1 style! This time it is quite a small map, also with a low difficulty level. I tend to associate Kaiser with tricky maps where every so often you are caged in with some dangerous monsters and have to fight desperately for survival. While this does happen here to some extent, it is never too dangerous if you keep your wits about you. Generally you have plenty of room, and your range options is quite wide. This map runs on E1M9, apparently because Kaiser dislikes that map so much he wanted to replace it in his iwad. I therefore find it a bit odd that there is at least one characteristic feature from E1M9 present. This map will certainly be of interest to E1 fans. To the rest of you, I suggest playing this map if Orion's "Fear Complex" hasn't quite satiated your lust for E1 maps this week. Rather an odd map. You are placed in a forest where there is a peculiar mixture of crude sector-based trees and sprite-based ones. The gameplay is quite repetitive, since for a long time you are facing the same mix of monsters in the same type of terrain. There are some annoyances too. Firstly, there are a couple of doors whose visual appearance is the same whether they are open or closed - you are told by an on-screen message that the door has opened. Wouldn't it be simpler for the door just to open? The biggest annoyance is that at one point, without any warning, you are frozen to the spot while you are shown some events elsewhere; meanwhile you watch helplessly while a baron strips all your health away (unless you had the foresight to kill it first, obviously). This is really terrible since the effect is just to kill the player through no fault of his own; the only way around this is to save every few seconds, or else never to press a switch (or trigger an event) unless you have completely cleared your local area of all monsters. Another irritation is that it often isn't clear whether a gap between trees is wide or high enough to get through - so you'll probably spend quite a lot of time doing it by trial and error. The music sounds like something from an old-fashioned slapstick comedy, and I sort of liked it. On the whole, I'd suggest skipping this one, though it is by no means awful, and it is undeniably "different". NB: runs on map18. I uploaded a couple of old wads this week. These were both wads that had originally been released via the CompuServe Action Games Forum, which is now defunct but was once a very major hub of Doom activity. I obviously think they are good, and at the very least worth playing - I wouldn't have uploaded them otherwise! Therefore, what follow are more descriptions than reviews. 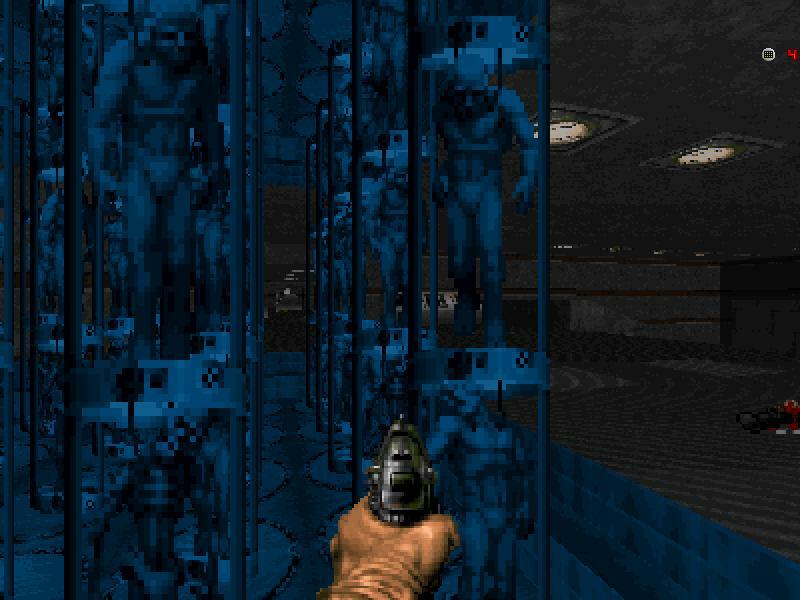 This episode from early 1996 was made by Jim Flynn, who was one of the major figures in the Doom community for several years. He made quite a number of large complex maps (including three in Eternal) and was one of the team that created Boom. He also wrote a number of utility programs and offered a great deal of helpful advice to mappers - his name is mentioned in 73 textfiles in the idgames archive, for instance. 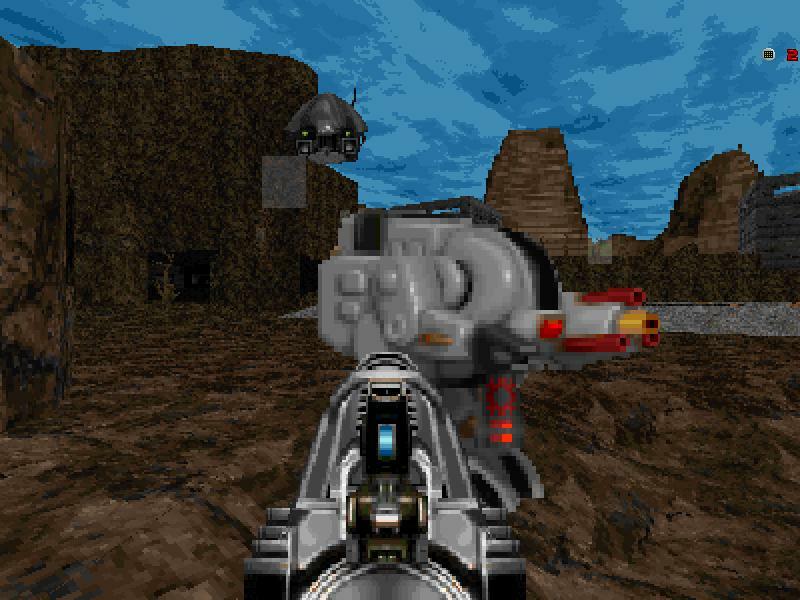 So, you're probably expecting that this is 9 big complex levels, very competently made to the best wad design standards of early 1996. And that is pretty much what you get. Some of the later maps certainly need quite a lot of thought and exploration, and probably can't be completed quickly. 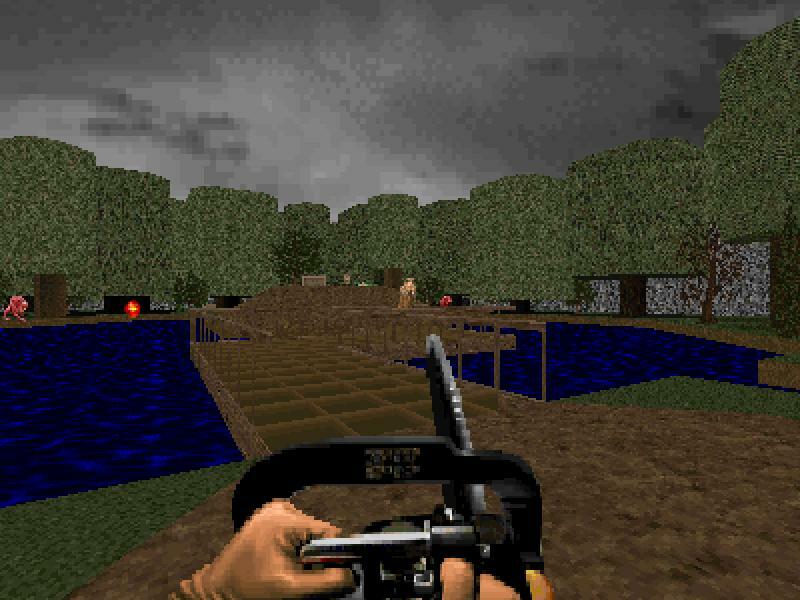 However, some of the earlier maps are suitable for speedrunning - maps 2-4 could be done in a total of less than two and a half minutes, for instance; though that is in part due to quite a serious oversight in the design of map02. Map04 is one of my absolute favourite maps - I really must try to record a UV -fast demo on it some time. Jim Flynn is/was also interested in fractal images (he even wrote for software for viewing them, which can still be downloaded from his website), and they appear regularly throughout the wad, adding an unusual splash of colour to the decor. I fear that the screenshots I have taken can't do this wad justice - the excellent use of height differences, and raising/lowering areas just don't come across in static screenshots. One feature to look out for is that sometimes a staircase will rise once, and then rise again, so that what had been the top step then becomes the bottom step - perhaps I haven't explained that very well, but you'll see what I mean. 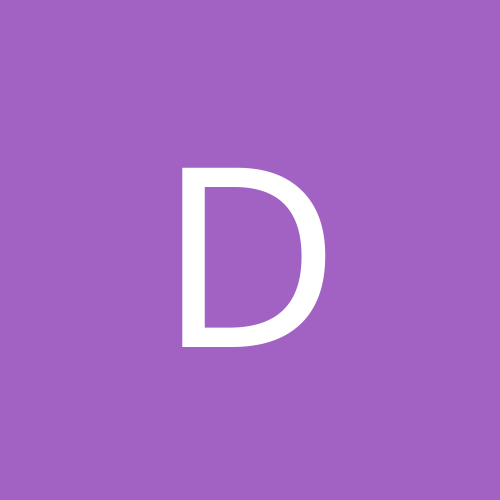 Note: there is another version of this wad available for download elsewhere on the web; it is a modified version of an earlier release of Enigma.wad, and so contains some bugs that the author later fixed. The one I have uploaded is the final version of the wad, as distributed by Jim Flynn himself. Another wad from around the end of 1995, but this time by a mapper that I'm pretty sure few of you will have heard of. Doria released several wads that never made it into the cdrom.com archive, but they all offered quite interesting and challenging gameplay (in fact, in some cases, I have had real problems beating them at all...). Zoo features 3 maps that are clearly designed to be played consecutively (i.e. not a pistol start for each). Having said that, map02 is certainly feasible from a pistol start, and I can confirm that even maxkills is possible if you get the strategy right (and you need to cope with the sight of masses of plasma that you can't use). I'd recommend being well tooled-up for map03 though. The map design is a bit crude-looking in places, but everything works OK, and the flow is good. OMG First Ever Grazza T/nC! Hooray for Enjay's Marine Assault! There's a secret soulsphere that can only be reached by jumping in Marine Assault, so I would think it's allowed. Great wad, btw! BTW, those enemies are not Robocop, they're from Strife, which I highly recommend you play! Heh, I played Jim Flynn's 9 level episode, and I have to say: heh. It's not that it's bad so much as it's typical of 1996, and therefore just not as good as the standards of the last two or three years. That's all you can say? No comment on the skybox? Meh, it was teh only dm map this week. Im going to try enjay's wad in a bit. Wow, thanks for the nice review for Marine assault. I'm glad people seem to be enjoying it. Wad of the week huh? Awww shucks, thanks! Yes, jumping is allowed in the level - and as Vile said, needed to get the soul sphere, although I think everything else can be reached without jumping (although maybe the invulnerability can't be done without a jump). I probably should have switched the location of the soul sphere and megasphere because the megasphere is too easy to get, and the texture indicating where to find it is too obvious (I’d meant to change it and forgot). 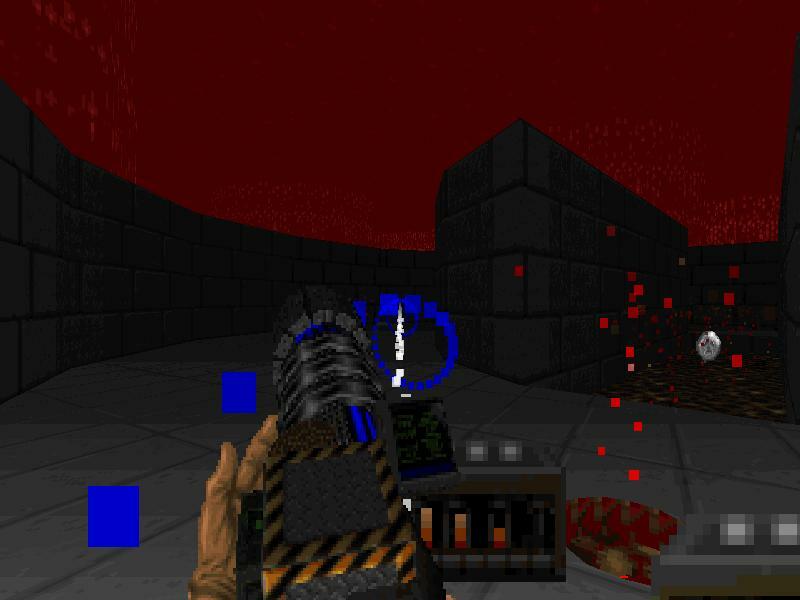 Just in case people haven't worked it out - because the question came up on the Zdoom forum - the grenades are actually Hexen flechette inventory items. This means you use them in exactly the same way as you would in Hexen. ie Hit enter to throw one if it is "in focus" in the inventory. If it isn't, use the [ ] keys to select them. You can also bind a key to "useflechette" if you want. And finally, an apology to Fredrik. I based some of the textures off one of his and mis-spelled his surname in the text file so that should be Fredrik Johansson not Johansen. Yes, the walking robots are from Strife. The ones replacing the cyberdemon are pretty much untouched - just a little work on some of the frames. The mancubus ones are made from cutting the original Strife sprites in half, mirroring them and then sticking them back together to make a more symmetrical enemy to suit the firing pattern of the mancubus, then recoloured to be a bit darker. 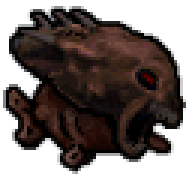 Oh, and finally, finally - anyone know where those dog sprites I used originally came from? I've seen them in quite a few WADs, and these particular ones are slightly edited versions that I did (slight colour changes etc) but I don't know the original source. I asked a few people some time ago, but no one I asked knew. Right, off to try some of the other WADs. I've already played Fear Station Alpha a load of times. That's a definite "must-play" IMO. Thanks for the comments, and apologies for any errors. 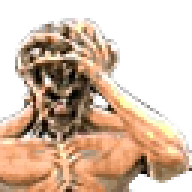 I've never played Strife, but unless my memory is playing tricks on me, the makers of Strife must in turn have got the idea for that monster from Robocop. The reason Ty rejected it is given here. Good stuff. Haven't had a chance to play any of them yet, but I'm sure I'll enjoy Enjay's Marine Assault just by seeing the screenshots. Good work on the 150th /newstuff Chronicles, Grazza. I played Marine Assault eariler, yeah that was good. Didn't finish it, but I liked the part with the open area and the people shooting at you. 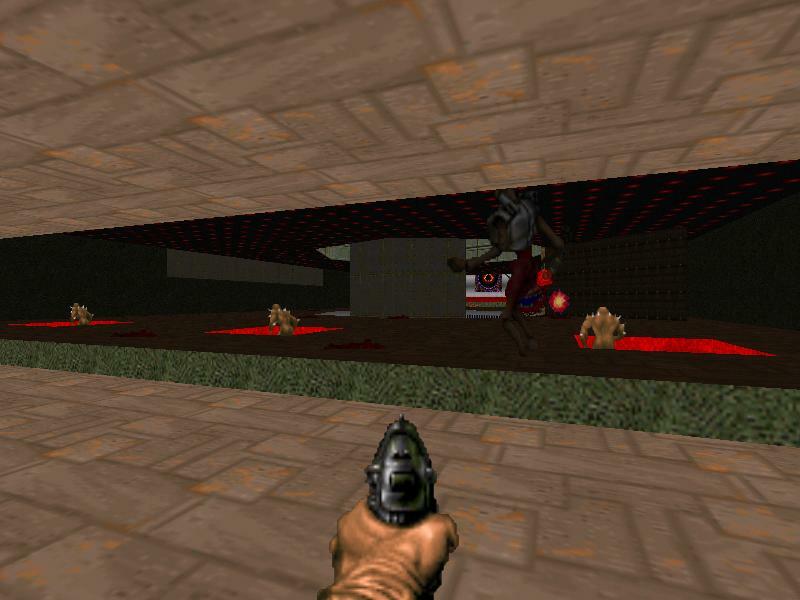 What with this being The /newstuff Chronicles #150, I've gotten to wondering if, like possible musical note combinations, if the variety of possible Doom maps is finite too? A few little grumbles though: there is a very dark area towards the end; if you adjust the gamma to compensate, the scenery in that area looks very washed out and unpleasant on the eye. OK, not that I really expect anyone to bother DL-ing a second version, but I'll fix up a few things. I've already added a "backup generator" in the cave section. Switch it on and the light level increases by 16 units. I've also moved the powerups around and tweaked the position of some of the ammo. I also found it is possible to stand in tower 1 and shoot back towards a little room in the main building, but not hit it because I accidentally left a sectors ceiling too low. You can't see it because it's a F_SKY1 ceiling, but it can (rarely) block your shots. Obvious if you are using the rocket launcher because the sky just swallows the rockets. If anyone else thinks anything else really sucked about it, then I may have a go at changing it. I'll probably upload a fix in a week or so. If possible, I believe someone should make a script here on the Forums which changes any ftp://archives.3dgamers.com/pub/idgames/ URL to http://www.gamers.org/pub/idgames/. 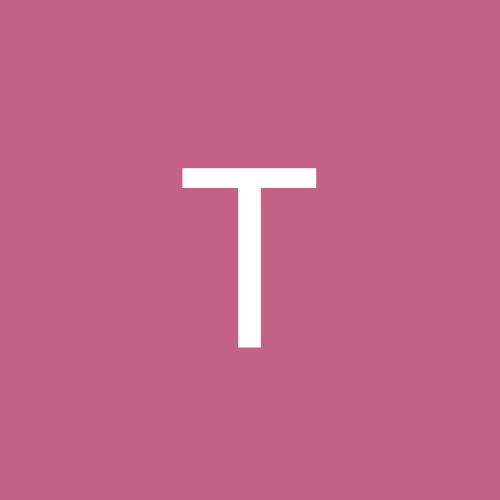 For the user's convenience and to lighten the load on the heavily restricted FTP (5 users at a time... I get booted a lot, don't you? ), which is for uploading files. And exception sould be made for ftp://archives.3dgamers.com/pub/idgames/, naturally, so that it can be presented as the place to upload files. http://www.gamers.org/pub/idgames/REJECTS is the place to see the file without problems. Good reviews, by the way. I gotta agree with Grazza for the most part. The design looks very good and the author obviously took great care in emulating Knee Deep in the Dead architecture and texturing without particularly copying anything, and he also emulated some other bits, like a trap here or there. The play wasn't too hard and maybe actually easier than some E1 maps, or else I was lucky as I played through. The way Orion kind of merged all the maps into one (or gave that impression) was pretty cool overall. There was one glitch where you could see the sky stack a bit if you stood in a certain corner, maybe the author can raise the wall out there to remove that, or something. Here's a screen shot of the glitch for the author's convenience. In theory, due to game limitiations on size of maps, it is, but there are so many differences that can be made it is as good as infinite and it would be impossible to come up with a figure. Enjay: I could be wrong, but I believe those dog sprites are originally from Laz Rojas' Operation: Rheingold. Apperently they are. I relized it the second I saw the dogs. 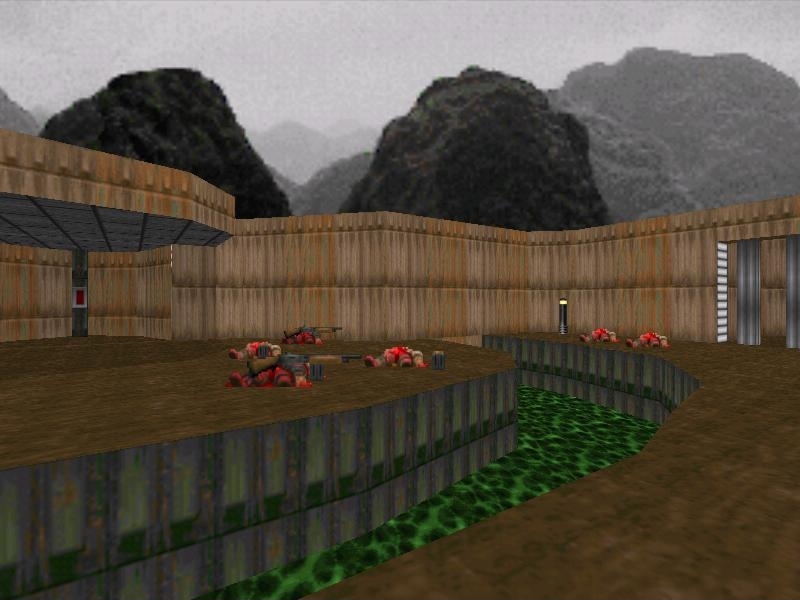 Hmm, I just played Cyber-Menace's Nature Reserve and it reminds me a great deal of another very similar map, perhaps by Ultimate Doomer? The water features, general layout and treehouses are all very similar. Hmm interesting, could this be the beginnings of a return of /oldstuff chronicles? Fear Complex is amazing! Very nice layout, great gameplay. To me the difficulty level was perfect, too. YES, PLEASE! oldstuff was great and there are still so many fantastic classics that probably most of you guys here don't know. Yep, a clone in almost every way. But it's nowhere near as good - in particular, the monsters are uncontrolled (nothing to block any lines of sight, meaning they all come at once). Hence it plays rather badly as well as looking less good. Firstly, there are a couple of doors whose visual appearance is the same whether they are open or closed - you are told by an on-screen message that the door has opened. Wouldn't it be simpler for the door just to open? You could've at least made the texture change to a black area, symbolizing an "open" door. Ahh, I was sure I was playing a poor man's relative of that map of yours UD. Really Cyber-Menace, you should at least make some kind of reference to it in your .txt. Not possible - it's a Transfer_Heights building, and linedef doors are the only thing that work with them. OK, it crossed my mind that there might be a technical reason. But then I thought that the mapper should really design the area to avoid the problem entirely, if at all possible. Sorry for not pointing out the map was "anticipated" by yours (which I hadn't played, but from a quick look around does look far better). Anyway, it just goes to show that people do best if they develop their own ideas. Regarding "oldstuff", I think it would be great if someone were to (re)start sifting through the archives to identify the forgotten gems. And if anyone has a good collection of old wads that aren't in the archive, I'm sure there are plenty of people who would be interested if these wads were made available again. I keep hoping someone will pop up who made a full back-up of the CompuServe Action Games Forum's file libraries, but so far, no luck. Bah, I suppose my map wasn't all that good, but the only real idea I got from UD's map was the thought of adding new trees, I've long ago chosen the theme of my maps, they're all plotted down, but I have to make them. I haven't gotten started on my next map yet, but I have a feeling it's going to be good. Anyone here ever tried follow three different power lines to find someway to turn them back on? I got a lot of work to do... (Don't expect much from map 20. Think of it as a giant boss battle level). I got lots of work to do and I don't have a clue in what way I'm going to build the final 10 maps. Oh well, your critism helps a bit, I'm going to edit my maps after I've made them all to make the megawad much better. If anyone doesn't know what I mean, just check out the newer and older versions of DTCA - Map 01 - Lobby.